Whatever your goals for 2016, jot them down and keep them in sight with one of these fun AND FREE printables! I started looking around for free 2015 printable calendars at the beginning of January, but there weren't very many options. I just checked again though, and lo and behold, they're everywhere! Here are ten of my favorites. Whether you're ready or not, 2015 has arrived. The beginning of the year is always a good time to get a fresh start by organizing your work and personal life. And these printables will help you do just that! Everything from jar labels, to kitchen conversion charts, to password logs, and more. Earlier this week, we shared some of our favorite printable gift tags for the holidays. But gifts need more than just tags! So, we've rounded up 30 awesome and totally free wrapping paper and gift box printables for you to enjoy. Happy gift giving! I love to clean. It's therapeutic for me. While I love it, I am not really a fan of some of the cleaning products I use. They're not the prettiest, and as a fan of pretty packaging, it's important to have aesthetically appealing labels! Over the last month I've been experimenting with making my own cleaning solutions. 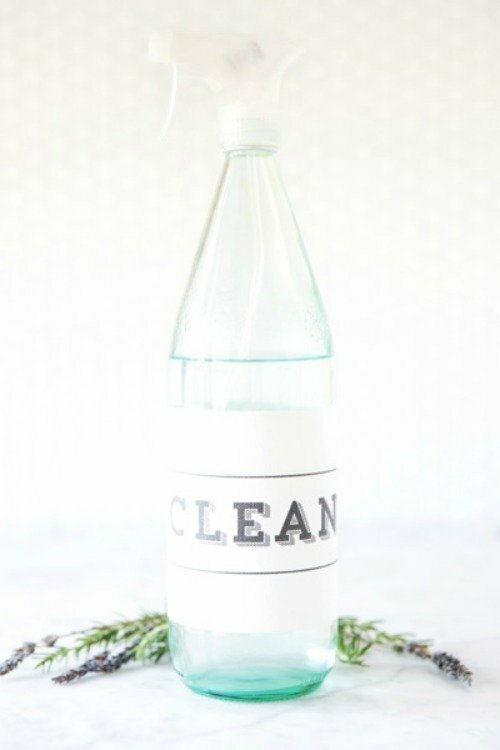 I was skeptical about the effectiveness of a homemade, natural-ish cleaner, but given the amount we were spending each month on 'green' cleaning products, I thought it was worth a go. March is here and in our neck of the woods, Spring arrived like a lion. If you're anything like me, the extra sunlight and climbing temperatures make you want to scrub your house from head to toe. To help you feed your spring fever, we've compiled a set of PDFs to help you tend your house using items you have around the house (vinegar, coffee grounds, baking soda, and olive oil). Read on to find out how to download the set! There isn't always time to clean your house from top to bottom. In fact, there's hardly ever time for that. But recently, we've been using this system - it's fast and it works. It's the perfect way to prep for guests or company, or to put your life back in order so you can focus on what really matters. Free Download: Should You DIY Or Hire A Professional To Paint Your Walls? It's a tough decision. Should you paint your walls yourself, or hire someone to do it for you? It's a lot of work to do on your own, but it's expensive to hire a professional... and there are a lot of other factors to take into consideration. So we're here to help you figure out the best course of action. 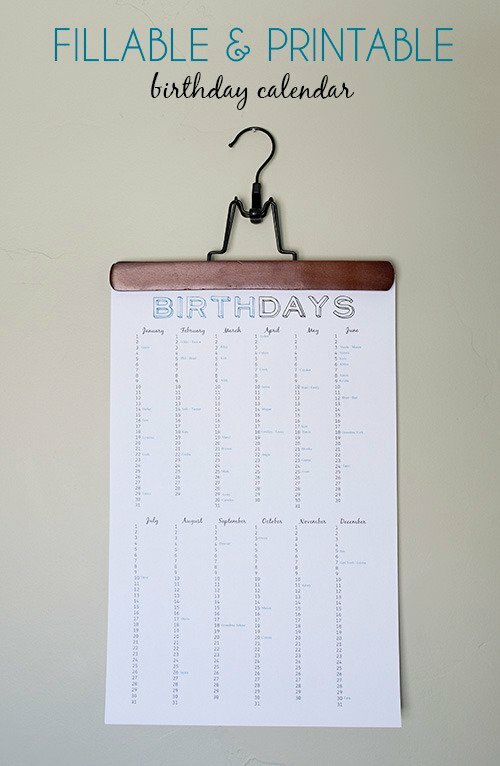 Continuing with the theme of getting organized in 2014, here's a great free printable birthday calendar. Download and open the PDF, add in your names and print it off, simple! Never forget a birthday or anniversary again.